Since 1995, Byrnes Communications has been the trusted partner to some of the world’s largest technology companies. A boutique marketing agency focused on customer engagement, Byrnes is made up of a talented and experienced team of strategic marketing consultants, designers, writers, and project managers who are passionate about customer-first marketing. Always eager to learn, our team values continuous education and improvement, and readily embraces the challenges as well as the rewards that come with customer-first marketing. Above all, we are guided by the golden rule philosophy instilled in our agency by founder and CEO Stacey Byrnes over two decades ago: we treat our customers, partners, and anyone else we engage in the way we’d like to be treated. Stacey has been creating and managing customer reference marketing programs for high technology companies since 1995. Excelling at creative planning, Stacey’s signature is bringing the voice of the customer to the forefront of marketing and public relations campaigns for a variety of high technology companies. She has customer reference and public relations experience on the corporate side, as well as the agency side. Attention to detail, managing programs on time, on budget, and making clients smile with satisfaction are essential in her books. Her clients have included HP, Adobe, Claris, Intel, Red Hat and Apple Computer. Stacey earned her Bachelor of Arts degree in Communications from California State University, Fullerton. Kim has over 16 years experience as both operations manager and senior marketing consultant specializing in customer reference and advocacy programs. With expertise in marketing communications, product launches, and campaign support for high tech companies, Kim has been instrumental in company growth through talent acquisition, new client pitching, and development and execution of organizational strategies, policies, and practices. With strong relationship building techniques and communication skills Kim effectively drives talent searches, wage and contract negotiations, training and on-boarding of new recruits, and provides a solid foundation for long-term resource retention. Clients she has supported include Hewlett Packard, Hewlett Packard Enterprise, Intel, Oracle, Salesforce, Red Hat, and Box. Kim earned her Bachelor of Arts degree with a major in English and a minor in Communication from Burnaby’s Simon Fraser University. Hugh is a business leader and veteran communications and marketing consultant with a passion for customer stories. Known for his people-first approach to operations, he has built and run high-performance teams that have won awards for his clients, his workplace, and individually for his leadership. He has been a journalist, a PR and marketing strategist, and an independent business consultant. As SVP and Partner at High Road Communications, owned by the Omnicom Group, he ran one of Omnicom’s most successful PR agencies. Hugh’s work providing strategic direction includes companies such as Microsoft, LG Electronics, D&B, Disney, and Telus. He earned a Bachelor of Arts from the University of Western Ontario. Allen’s career features 20 years in the publishing world, including marketing writing for HP, IBM,Symantec and Dell, as well as award winning multimedia and web content as a Palo Alto based journalist. Clapp also produces songs, sound recordings, and background music for commercial clients ,including the Coca Cola Company, Target, Samsung and others. Allen acquired a Bachelor of Arts in English Literature from the University of California Berkeley. Brian is a high-tech marketing veteran with 30 years of experience, 14 years of which was invested with Compaq and Digital Equipment Corp. in marketing and marketing communications. At Digital and Compaq, Brian gained extensive experience with both external and internal marketing programs, product marketing, PR, and managing customer reference activities. Brian secured his Master’s degree from State University of New York at Brockport and his Bachelor’s degree from Syracuse University. Donna has 21 years of high-tech experience, including five years at Digital Equipment Corp. as a marketing specialist profiling new customer wins and 16 years working with HP/Compaq customer reference programs. She has worked with HP’s sales force across the company to investigate and qualify hundreds of candidates for customer case studies. Donna earned her Associate of Science degree from Becker College and completed coursework towards a Bachelor of Science Degree in Business Administration at Bentley College. Eileen has more than 20 years of high technology public relations and marketing experience in both agency and corporate settings, with a long track record for placing key stories in top notch business publications and on national networks. Eileen’s customer reference experience spans from Compaq to Informatica, where she helped bring a fledgling programs to prominence. As a highly organized project manager, Eileen delights in delivering projects on-time, on-budget, and to the complete satisfaction of the client. Eileen earned and Bachelor of Arts degree from California State University, Long Beach with minors in English and Marketing. In her spare time Eileen enjoys spending time with her husband and two boys hiking, running, swimming and biking. Fontaine’s individual clients have included Apple Computer, Cisco, The Learning Company, and Adobe. She has 20 years of high-tech marketing communications experience, including agency public relations, website copywriting, executive speaker programs, and project management for web content development. Fontaine earned her Master of Arts in English from The University of Kentucky. Jim’s been writing professionally for 30+ years—everything from customer case studies, brochures and white papers to digital content, infographics, exhibit signage, and more. He has experience working with clients large and small, including Hewlett Packard Enterprise, CyberArk, Accenture, NetCracker Technology Corp. (NEC), Palo Alto Networks, and others. Jim holds a bachelor of arts degree in English from Lafayette College in Easton, Penn. Jason Drury is a seasoned graphic design professional and Art Director. He has worked within corporate in-house and agency teams as a design lead and brand manager. During this time he has had the pleasure of working in many different industries, such as high-tech, automobile, food, and hospitality. As a multi-media designer Jason has experience in many mediums, but he specializes in digital design and brand management. He offers these and other services out of his studio, where he continues his passion for design today. Thirteen years of print and web experience, including nine years of HP success story layout and design, contribute to JudyAnn’s design acumen. Her print work has included logos, corporate identity, newsletters, advertisements, and directories. JudyAnn’s web work features e-commerce, brochure, membership, and content management sites. JudyAnn earned her Bachelor of Arts from The University of California Riverside, an M.S. from San Jose State University, and her design certifications from The University of California Santa Barbara. Ivan brings 20 years of in-depth experience to the Byrnes Communications team. Leveraging his deep understanding of both technology and trends (such as Big Data, Cloud, and Mobility) he is adept in translating technical innovation into business benefits that resonate with business folk, technophobes, and technophiles alike. Accomplished in crafting both technical and marketing messaging utilizing all forms of media, his clients include HP, Intel, Microsoft, Oracle, Red Hat, SAP, and SUSE. With years of experience both as an end-user and as a program manager/business developer for high-tech companies, he understands the challenges you face and what you need to take your message to the next level. Kristy has nearly two decades of storytelling experience, both as a technology journalist and as a senior leader at a well-known communications agency. Throughout her career, Kristy has brought hundreds of brand stories to life, combining a thirst for knowledge, a passion for research, a rich background of experience and a creative lens. Spanning industry sectors such as technology, financial services and consumer/lifestyle, Kristy has developed communications programs that have become international best practices, worked on ground-breaking and award-winning content marketing programs, and served as lead customer relationship manager for some of the world’s most recognizable brands. With a passion for creativity, a keen eye for detail and an ability to simplify the most complex story, Kristy is able to distill information in a way that meets business objectives. Mark is a seasoned graphic designer with over 20 years experience and a focus on brand identity design. Crafting individual business brand—or adhering to established principles—he integrates compelling visual identities with each project. Mark brings a strong knowledge of the networking arena, retail marketing, education, health care, and the e-business environment, helping to ensure interesting and relevant design executions. Some of Mark’s clients include CA Technologies, Nortel Networks, BTI Systems, Cadence, Progress Software, Sycamore Networks, NextChoice, and Dunkin’ Donuts. Meridith brings over 27 years of marketing expertise to her clients at Byrnes Communications. With corporate and agency experience, she has worked with AT&T, Avaya, GS1 US, Verizon Wireless and other high-tech companies. She is especially passionate about creating and managing customer reference programs and helping professionals share their amazing stories. Meridith cherishes her longtime client relationships and continuously looks for ways to bring fresh ideas that will get the results her clients need. She holds a Bachelor of Science degree in Communications from Oklahoma State University and a Masters in Business Administration degree from NYU. Meridith makes her home in Tewksbury, New Jersey, with husband, Joe, and their daughters, Mary Ann and Susan. Relationship Rockstar. Marketing maiden. Queen of the jungle. Sheena brings a creative touch to all her business relationships and projects, with over a decade of project management and digital marketing experience within corporate, agency, and start-up environments. Her industry experience is an eclectic mix within healthcare, technology, creative services, and music/entertainment. Sheena’s passion is helping Byrnes Communications clients to be successful through various marketing communication channels and customer advocacy engagement strategies. SoHanna has over 25 years in high-tech and non-profit marketing and communications, including 17 years of agency and corporate PR experience. After starting her career on the agency side of marketing at Regis McKenna, Inc and Sterling & Cohan, she moved to work in the corporate environment at Tandem/Compaq and other high-tech companies. Her PR experience with both start-up and high profiled clients lead her to work on various customer reference programs, including Sun Microsystems’ and Hewlett-Packard’s programs. She spent eight years providing PR support to California’s largest children’s services agency, EMQ FamiliesFirst. Her clients have included Apple Computer, Claris, Cisco, Donna Davis Designs, EMQ FamiliesFirst, Legato Systems, Postini, Power Computing and Unix Systems Laboratories. SoHanna earned her Bachelor of Science in Marketing from Santa Clara University. In her spare time she enjoys Pilates and barre classes, snow skiing with her family, golf, dancing the hula and listening to Hawaiian music. Suzanne is a high tech industry veteran of 20 years, including 12 years at Hewlett Packard in sales and marketing, with the last seven years focused on customer reference marketing. Her experience prior to high tech includes retail management. Suzanne has applied all of her work experience and knowledge in sales, marketing, and communication to manage a variety of teams throughout her career including sales, marketing and technical groups. Known as a goal-oriented and highly organized team player, Suzanne is doggedly persistent in the pursuit of programs, driving them successfully to completion on time. Suzanne earned her Bachelor Degree in Marketing from California State University, Chico. In her spare time she enjoys playing tennis, paddle boarding, Pilates, yoga, spending time at the beach and with her family. 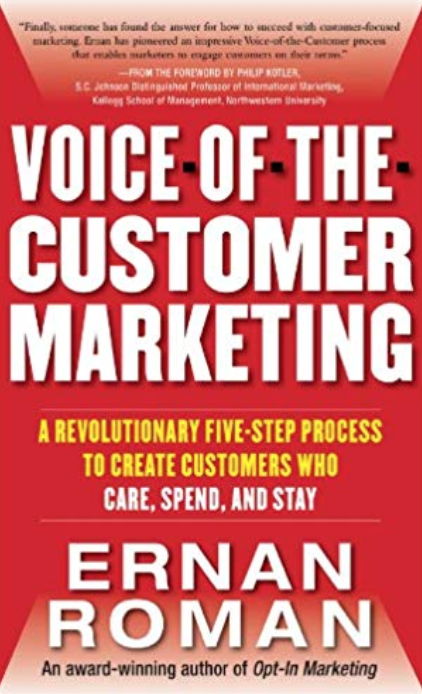 Check out our Resources page for what we're reading on customer-first marketing!